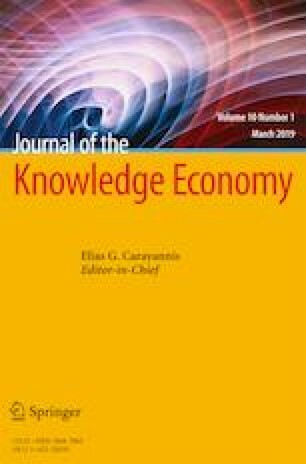 This article proposed to analyze the interrelationship between foreign direct investment (FDI), international trade, and economic growth for 15 selected Middle Eastern and North African countries over the period 1999–2012 using autoregressive distributed lag test as an approach to examine the cointegration and the vector error correction model. Our findings show that there exists a long-run unidirectional relationship running from FDI to economic growth in MENA countries. We also found that FDI can generate positive spillover externalities for the previously mentioned countries. This belief was also confirmed for the host countries. The results obtained about these countries could be compared to those of other developing countries, considered to be experienced in attracting FDI and trade liberalization. These empirical insights are of a particular interest to policymakers as they help build sound economic policies to ensure a sustainable development. Alici, A.A., Ucal, M.S. (2003). Foreign direct investment, exports and output growth of Turkey: causality analysis. Paper presented at the European Trade Study Group (ETSG) Fifth Annual Conference, Madrid, 11–13 September 2003 (http://www.etsg.org/ ETSG2003/papers/alici.pdf). Athukorala, P.P.A.W. (2003). The impact of foreign direct investment for economic growth: a case studying Sri Lanka. In: 9th International Conference on Sri Lanka Studies, 28–30 November, Matara, Sri Lanka, In: http://www.slageconr.net/slsnet/ 9thicsls/fullpapers/fullp092.pdf. Hisarciklilar, M., Kayam, S.S., Kayalica, M.O., Ozkale, N.L. (2006). Foreign direct investment and growth in Mediterranean countries. Conference concluding a Jean Monnet Project on “Sustainable development and adjustment in the MEDA countries following the EU enlargement”, Spetses Island, Greece, 3–5 July 2006, In: http://emo.pspa.uoa.gr/data/papers/2_paper.pdf.